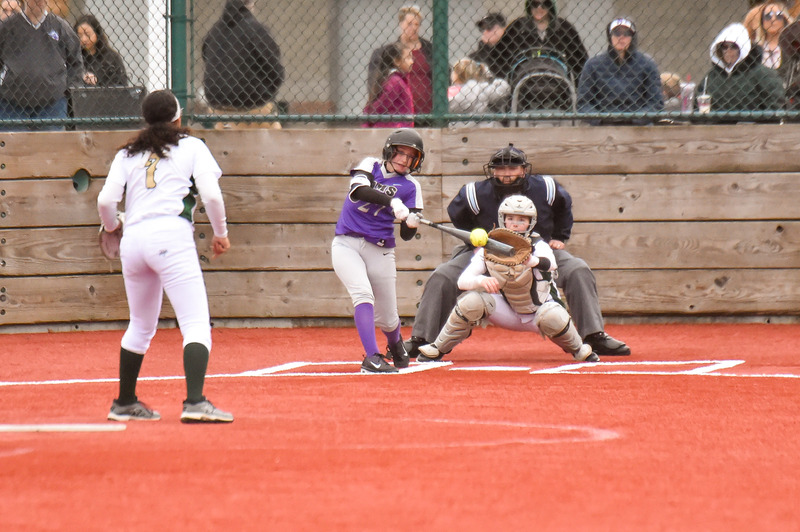 Senior pitcher Kylee Freese had 15 strikeouts to lead the North Thurston Rams girls softball team to a cross-town 7-2 rivalry game win over the Timberline Blazers in 3A SSC play Tuesday April 15, 2019 at the RAC in Lacey. The Lady Rams (5-4, 3-2 in the SSC) used key hitting to take an early 4-1 lead. They extended the lead to 7-1 before the Blazers scored late for the 7-2 final. The Rams were led by junior Grace Spencer, who went 3/4 with a triple and a walk. Junior Sarah Parker had two doubles and senior Kaleigh Chandler went 2/3 with three RBIs. Sophomore Kylie Barker led Timberline with two doubles and a run along with strong play from senior Bailey Haddock who had two walks and double. The win moves North Thurston into third place in the congested SSC standings behind Yelm (10-1, 6-0 SSC) and Gig Harbor (4-5, 3-2 SSC). North Thurston hosts Yelm Wednesday and Timberline’s faces Capital for its next league game on Monday.